When my fellow freelance writers hear that I have more than 1,000 published articles to my name their first reaction is disbelief. “You can’t have published that many” they say, “we’ve been writing for about the same amount of time and haven’t even written half that number of articles”. “Ah”, I tell them, “About three hundred of those published articles are reprints”. The answer to that question is what this article is all about. I figured out early in my writing career that the lifeblood of the freelance writer’s income is recycling their articles. Reselling articles is a savvy approach for the freelance writer’s continued survival and success. Selling reprints saves you much time and rapidly increases your income. One of the biggest mistakes many writers make is thinking they have to keep writing brand new articles. This is an appalling waste of time because they’re only getting paid for their efforts once. It’s like being on a writer’s treadmill to hell—you work hard, but get nowhere. Starting a new article from scratch is time consuming. Think of all the time you’ve taken to do the research, composed your query letter and write the piece. 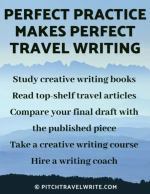 If it’s a travel article your working on, your research takes up a lot of time when you’re at your destination, plus any expenses you incur while you’re traveling– and you still need to spend additional time writing the article when you get home. So how can you sell your reprints to make travel writing a more profitable endeavor? How do you do this? When you’re coming up with story ideas, always put a lot of thought into your topics. Think in terms of maximizing your time with articles that have good resale potential. I sell 30% to 40% of my published articles as reprints and their close cousin, rewrites. Reprints are articles that you don’t change at all, or where you make very minor changes. As long as you haven’t signed away your rights, you can sell reprints to different markets and different magazine genres than the market or genre of the original article. You can even resell them within the same market after you wait an appropriate amount of time (usually 3-6 months—there’s no set standard) after your story has been published, as long as you haven’t given up rights to do this. Rewrites are articles that you change substantially. You need to rewrite an article if your original purchaser bought “All Rights” to the article. Typically, editors who demand “All Rights” will pay you very well for those rights, because they now “own” the article. It is illegal for you to resell your stories if a magazine or newspaper has bought “All rights” because the story is now their property. There’s a lot of confusion about how much an article needs to be changed in a rewrite. I’ve read advice from experts that say at least 40-60% of the article must be changed. You can use the same, or similar, information and data that you used in your original story, but you must present your story in a different way. For example, you can use a different slant, with a different title, different quotes and examples. Although rewrites will take you more time than reprints, it shouldn’t take you very long to rewrite a story provided of course, that you kept your original reference materials. I store my original reference materials in a transparent plastic packet in a bankers box in my garage. Since you’ve already done your research with rewrites and you know the topic, your time investment is still small. And your return is as high as the next magazine will pay. Something important for you to consider as a freelance travel writer is whether you should ever sign away “All Rights” to any of your articles. You need to establish your own personal business policy. I never sign away my rights to an article unless I’m being well compensated. That way I can feel good knowing that I was paid a fair amount for the work I put into it. This is a subjective decision you’ll have to decide by yourself. I’m inclined to sign away “All Rights” if I’m being paid 40 cents/word or more. I can always rewrite a story that I believe has good resale potential anyway. 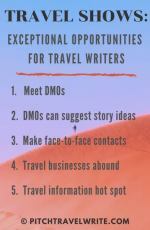 But I know travel writers who won’t sign away “All Rights” for anything less than $1/word. Several years ago I wrote an article about how distance runners should take care of their skin in the summer to prevent skin damage. I sold this same piece to several running magazines around the world. Then, after it had been published, I sold it to several triathlon magazines around the world. And then I sold it to a few regional magazines in the U.S. I was determined to wring as much out of this article as I could. I sat down and figured out who else would benefit from this advice. I concluded that any sport where you exercise outdoors is fair game for an article about skin care. Golf magazines? Outdoor sports magazines? Health magazines? Tennis magazines? Gardening magazines? Yachting magazines? I sold this story to magazines in all of these genres and have made a tidy packet from selling that story more than twelve times—and I’m still selling it today! To recap, first I sold the article to different running magazines (same genre, different regions). Then I sold it to several triathlon magazines around the world (different genre, different countries). Then I sold it to a variety of different sports and outdoor activity magazines (expanded to several different genres). You’ll notice this topic (taking care of your skin in the sun) is one that easily crosses over from one genre to another quite easily. Which story ideas will work well across different regions? Which story ideas can work well in different countries? Which story ideas span a variety of genres? Clearly, certain subjects lend themselves to reselling better than others. For example, my running, fitness and triathlon articles sell anywhere from 3-13 times each because they transfer so easily across these fields. 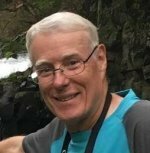 I’ve just done a quick count on my ten best selling running articles and have sold them a total of 96 times; that’s an average of 9.6 times each! As you can imagine from my examples, when you sell reprints the payout is much better than writing a brand new article every time. Sometimes I only resell an article two or three times. But my point is, writers who aren’t using this strategy are missing out on a good income for virtually no work. All you have to do is locate other magazines that your story would be a good fit for, and send them the reprint with a short query. Keep those unsold stories in a file and be patient. Wait until you receive inspiration on how to tweak the story to resell it. Where do you find magazines to sell your reprints? Look in the same places that you looked to sell the article in the first place. Use your distribution lists that were created from Internet searches, Writer’s Market, and from looking at the magazine racks at your local bookstores. And you should always be on the lookout for new magazines to sell your previously published stories to. New magazines provide a great opportunity to get your foot in the door early with an editor, and reprints are something you can produce instantly to help them get their magazine launched. When reselling an article, do You Send the Article or a Query? I’m often asked the question, “Should I send out the reprint article in its entirety, or just send a query letter pitch?” I’ve tried it both ways and they both seem to work. Sending the story as an attachment to the query letter (or embedded in the query letter) seems to work slightly better than just sending a query. Perhaps some editors like to see the article on the spot. Reselling your articles saves you a lot of time – and expands your income tremendously. Give it a try and find out just how far you can go with your story ideas. 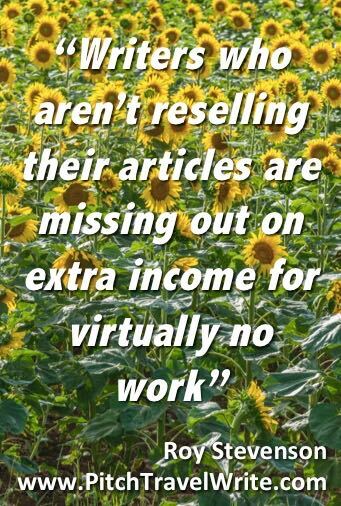 And there’s more you can do besides reselling and rewriting your articles. You can also repurpose them in other ways.